← Can I Plant a Tree This Time of Year? Wikipedia defines a hardiness zone as, “a geographic area defined to encompass a certain range of climatic conditions relevant to plant growth and survival.” If you are planning to remodel your landscaping this year or next, you will need to know some important facts about the Indiana hardiness zone map. Continue reading to get started! According to the U.S. Department of Agriculture, “USDA Plant Hardiness Zone Map is the standard by which gardeners and growers can determine which plants are most likely to thrive at a location.” This map is based on the average minimum temperature that occurs during the winter, per year, over the past 30 years. Here are some more pertinent facts!  The Hardiness Zone Map was developed by the United States Department of Agriculture (USDA).  It is the most commonly-used reference for growing trees, plants, flowers, crops, and more.  It defines 13 regional zones according to annual extreme minimum temperature.  Annual extreme minimum temperature is the lowest average temperature during a period of one year.  If a tree species is categorized as being hardiness zone 10, it means that it can withstand a minimum temperature of 30.2 to 39 degrees Fahrenheit.  Various forms of the Hardiness Zone Map have been developed to match other regional climates, such as Canada and other countries.  The UK Royal Horticultural Society and US Sunset Western Garden Book systems are other forms of hardiness rating classifications.  You can find the zone for your specific zip code by visiting this USDA.gov webpage and selecting your state.  The USDA Hardiness Zones for Indiana are 5 and 6, specifically 5b, and 6a, and 6b.  Common trees that are hardy to Indiana zones include Ash, Cedar, Pine, Hemlock, Elder, Birch, Beech, Cherry, Walnut, Chestnut, Buckeye, Hickory, Locust, Magnolia, Maple, Oak, Poplar, Sweetgum, Sycamore, Willow, and more.  Warmer zones, such as 9 through 11, are located in the southern parts of the country where you’ll find more tropical-like flora, such as Palm trees.  Central and northern coastal areas are middle zones, between 6 and 8. ✨ We hope you enjoyed these popular agricultural facts! Be sure to share them with all your gardening friends! If you have questions about tree care, contact a licensed Indianapolis tree service company for expert information and advice you can trust. 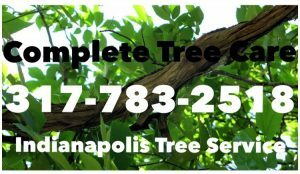 Call A Complete Tree Care at 317-783-2518 for prompt and professional Indianapolis tree service. We are experienced tree care technicians that can resolve your tree problems, regardless of your projects size or scope. We offer a wide range of tree removal and tree services, for both residential and commercial properties. We even offer free estimates and free tree care advice! This entry was posted in Trees and tagged Facts U.S. Hardiness Zone Map, Hardiness Zone facts, Hardiness Zone Indiana, Hardiness Zones, Indianapolis Tree Service, Indianapolis tree service company. Bookmark the permalink.